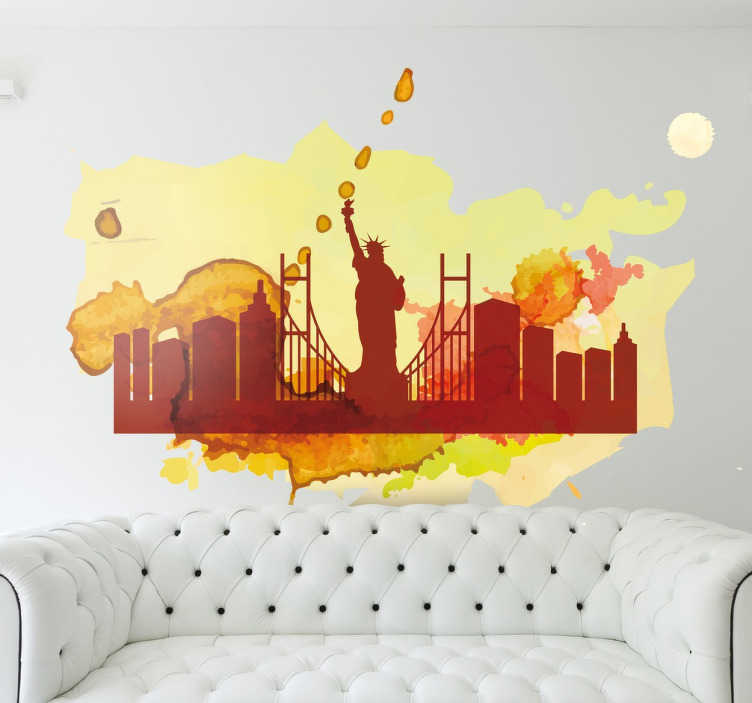 Wall Stickers - A colourful silhouette skyline feature inspired by the city of New York. Add colour to your home or business with this mural capturing the iconic monuments and buildings of the Big Apple. Available in various sizes. Made from high quality vinyl, easy to apply and remove. Also suitable for personalising appliances, devices and more. Free Pik illustration.